We write on behalf of the Middle East Studies Association of North America (MESA) and its Committee on Academic Freedom to express to you our deep concern that the Scientific and Technological Research Council of Turkey (TÜBİTAK) will be participating in the Naturejobs Career Expo, to be held at New York University’s Langone Medical Center on November 4-5, 2017. An ostensibly independent organization, TÜBİTAK has in fact engaged in egregious violations of academic freedom as part of the campaign of repression being waged by the Turkish government. TÜBİTAK’s inclusion as an officially recognized “academic and scientific” exhibiter in the Naturejobs Career Expo held on NYU’s campus legitimizes the active role it has played in that campaign, and makes NYU and its Langone Medical Center complicit in the suppression of academic freedom in Turkey. Over the last year and a half, and especially since the failed coup attempt of 15 July 2016, Turkey has seen repression on a massive scale, with large numbers of people investigated, detained and/or prosecuted on allegations relating to national security without any evidence or any meaningful right of redress. Teachers and academics have been particular targets of this repression. In more than thirty letters issued since January 2016, MESA’s Committee on Academic Freedom has chronicled and protested the extraordinary number of investigations, prosecutions, dismissals, detentions and campaigns of private harassment directed against academics across Turkey. Since the declaration of a state of emergency in Turkey in July 2016, more than 5,000 academics have been dismissed from their positions by emergency decree. Those purged academics have been condemned to what amounts to civil death, as they are banned from public service, cannot be hired by private academic institutions owing to fear of government retaliation, and cannot seek employment abroad as their passports have been confiscated. TÜBİTAK has played a leading role in the intimidation, harassment and repression of members of the Turkish academic community, thereby violating the principles generally accepted as the cornerstones of rigorous scientific enquiry and of free societies: academic freedom, freedom of expression and the free circulation of ideas. 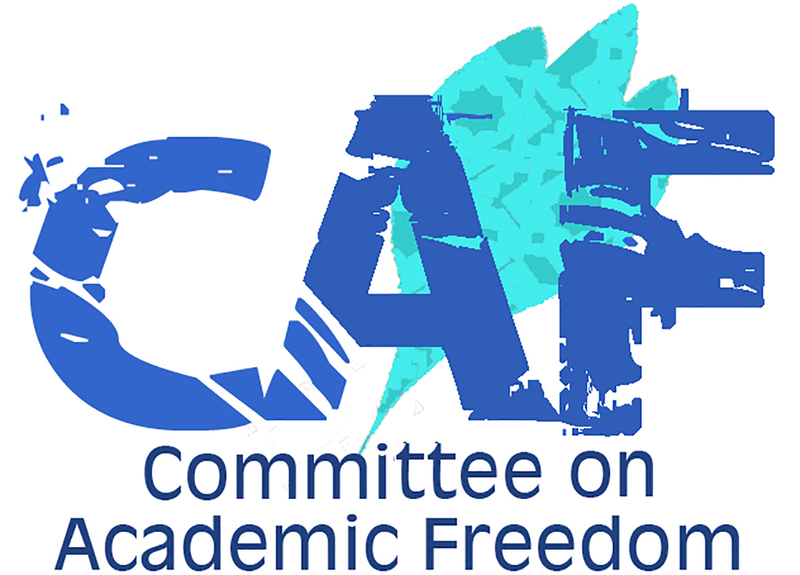 Its actions have included the blacklisting of all the Turkish academics who signed the January 2016 peace petition calling on the Turkish government to address the grievances of the country’s Kurdish minority through peaceful negotiations, the denial of funding to scholars, conferences, and academic organizations on the basis of their alleged political beliefs or affiliations, and demands that Turkey’s academic journals purge their editorial boards of anyone the government deems critical of its policies. TÜBİTAK has also reportedly withdrawn funds already granted, cut salaries and/or withheld funding on a politicized basis at the behest of the government, as a further extension of measures targeting academics. We urge you to see our letter of 19 May 2017 concerning TÜBİTAK, sent to the president and prime minister of the Turkish Republic. TÜBİTAK’s active collaboration in the destruction of the once-thriving Turkish academic and intellectual community is completely unacceptable by any professional and ethical standard, and cannot be condoned. NYU must refuse to treat TÜBİTAK as if it remains a legitimate scientific organization, and it must make it clear that it expects exhibitors at any event it sponsors to meet a minimum standard of respect for and adherence to the principles of academic freedom. We therefore call on NYU to demand that the organizers of the Naturejobs Career Expo bar TÜBİTAK from participating; if they are unwilling to do so, we call on NYU to withdraw its sponsorship and insist that this event not be held on its campus.